For fleet-based companies, the satisfaction of clients is a priority. This makes monitoring deliveries and knowing where your delivery drivers are located essential. When a client calls and asks when their order is going to be delivered, you want to be able to give them an accurate time, not just a guestimation. And with GPS tracking solutions from Skypatrol, you can do just that. 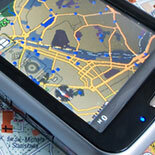 And to make GPS tracking even more beneficial, technology has recently introduced geofencing. GPS has been around for decades, since the 1950s, but the technology has only become detailed enough for geofencing till just recently. GPS allows a user to know their exact location, or in the case of a GPS tracking device, the location of someone else or another vehicle. With geofencing, a user is able to establish a specific area, or “fence.” And when the GPS device, or delivery vehicle, travels outside of that fence, an alert will be sent notifying management. As you can imagine, this can be extremely beneficial for a variety of fleet-based companies. Not only will you be able to monitor the location of all of your vehicles, but you can also see if and when they travel outside of a designated area. What Other Benefits Does Geofencing Have For Fleet-Based Companies? According to the FBI’s Uniform Crime Reporting Program, motor vehicle theft has increased from 5.8 percent in 2015 to 7.4 percent in 2016. That’s roughly $5.9 billion lost to vehicle theft in 2016. With Skypatrol’s GPS tracking solutions with geofencing capabilities, you can better protect your fleet assets. If you own a construction company, for example, consider the cost of one of your front loaders. These tractors run upwards of $100,000. A typical contractor’s truck like a F350 can cost around $30,000. Imagine losing one of these vehicles to theft. When tracking your vehicles using geofencing, you will be notified the minute that the vehicle goes outside of the determined fence, allowing you to stop the theft. Preventing a theft of this magnitude will be able to cover the cost of the hardware and software completely. Many fleet-based companies have specific service areas, so you can guess how beneficial using geofencing can be. If you have a service area of 20 miles from the main location, then you can create a geofence around that area. If a driver travels outside of that area, costing you additional money in gas, time costs, and potentially customer satisfaction, you can point to specific data in order to improve that driver’s performance. You can also use geofencing in order to provide more accurate information to your customers. If a delivery location is states away, you can create a geofence within 10 miles of the destination. When the driver enters the fence, it will send a notification and you can then inform the customer that the driver is within half an hour away. Many employees work on an hourly rate and the pay starts when they get to the job site. Rather than relying on the driver to note down the time of arrival, you can use geofencing and exact timing in order to track their hours. Instead of having to track down arrival times and entering that data into a payroll software, you can simply use the data provided by Skypatrol’s GPS tracking solutions. Human resource professionals will be able to spend much less time preparing payroll reports and processing paychecks. After regular use of GPS tracking devices, the data gathered will be able to inform management of areas for improvement. Data will show which drivers are performing more efficiently and which drivers can benefit from additional training. Geofencing can also be critical in rightsizing your fleet to avoid redundancy. When GPS tracking solutions and geofencing are used correctly, it can help save your business a significant amount of money, reduce liability, and improve performance. A large benefit of geofencing is that it can be customized, the fence can be made into any shape necessary and it can be placed anywhere necessary, allowing you to get the most specific data possible. Skypatrol has a variety of GPS tracking devices with geofencing capabilities and we look forward to hearing about your success. If you want to learn more about our hardware and software, get in touch with our team today and we’ll demo our products for you. Our devices are easy to install and the software is easy to use, allowing you to start experiencing the benefits quickly.